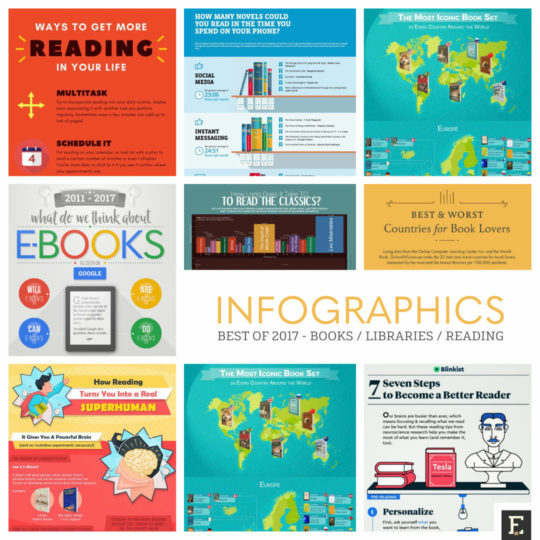 The world of books and reading as seen in the most popular infographics released in 2017. Although not as popular as a few years ago, infographics are still an entertaining and convenient way to share facts, ideas, figures, and mechanisms. 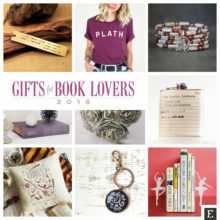 Our archive of infographics about books, libraries, and reading is continually growing, and we are excited to share with you the ones that met with the best reception from our friends, both on the blog and in social media. 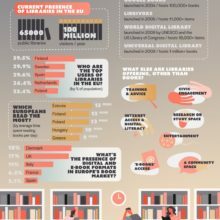 Compared to 2016, which was full of fantastic infographics about libraries and librarians, this year is mainly about reading. You will have a chance to learn about reading habits around the world, compare time spent with books vs. phone, or find lots of tips to make you a better and happier reader. Let these tips make it into our lists of the New Year resolutions! 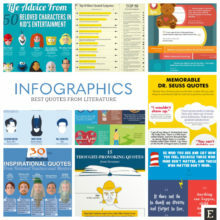 The most popular quotes from famous books and by famous authors visualized as easy-to-share infographics. An infographic from Music Magpie shows how much time we spend on the phone monthly – and how many novels we could read instead. On average the monthly time spent on certain phone activities reaches 120 hours. If you stopped using your phone entirely, you’d read 24 novels per month! An infographic from Blinkist shares seven proven tips to become a better reader. It highlights key points from a classic guide to intelligent reading, , written by Mortimer J. Adler and Charles van Doren, and published in 1940. We hope the infographic that we created is worth putting in this overview. 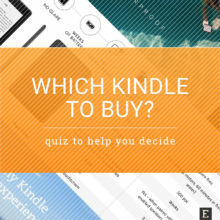 It tracks Google Instant suggestions for questions related to ebooks and is a great way to analyze how attitudes towards ebooks evolve. 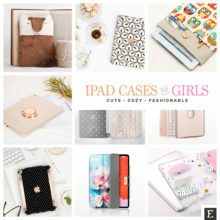 Are we still afraid of ebooks? Which benefits are we most interested in? 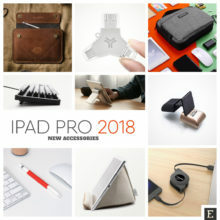 Which features are most needed? 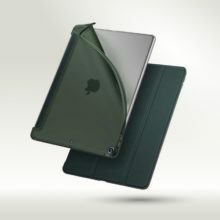 Are our attitudes towards digital books evolving? 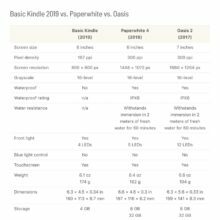 In 2011, 2013, 2015, and 2017, we used Google web search to ask questions starting with four phrases – “will ebooks,” “are ebooks,” “can ebooks,” “do ebooks” – and getting top five Google Instant suggestions. Do you want to learn differences in reading habits and stats around the world? Take a look at the infographic released by Global English Editing. It’s one of the best book infographics of 2017. The visual puts together facts and figures from several sources and can be a quick source of information if you are looking for information that compares reading stats in different countries across the globe. 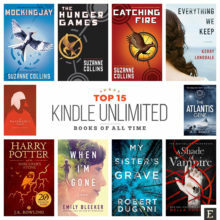 You can also find here info about which countries read the most, ebooks statistics, global publishing figures, and biggest worldwide bestsellers. This visual created by Syracuse University’s School of Information Studies is a perfect supplement of the previous infographic. 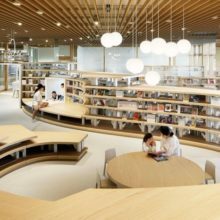 The visual ranks 20 best and worst countries for book lovers measured by the number of libraries per 100,000 residents. 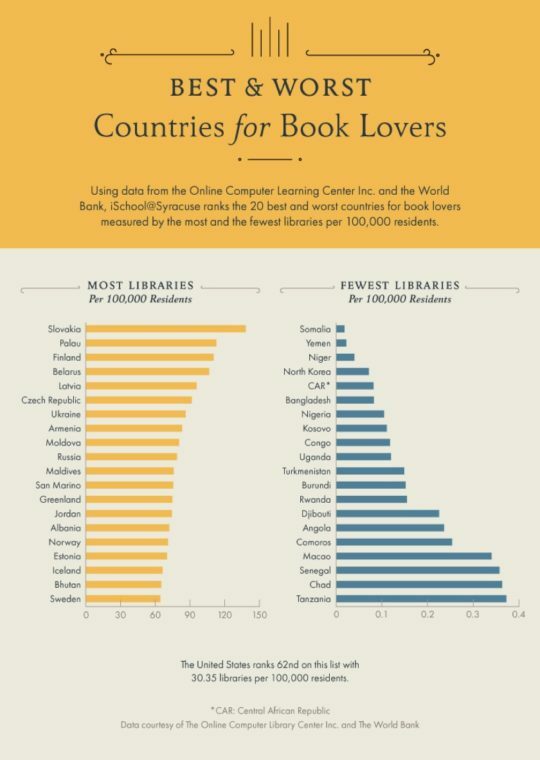 As you’ll see, Slovakia leads the way, with 138 libraries per 100,000 residents. The top 10 also includes Palau, Finland, and Belarus. In times when the time is the most crucial factor in deciding whether you’ll read a book or not, information how long would it take to finish it becomes almost as important. This visual is one of our 2017 favorites. 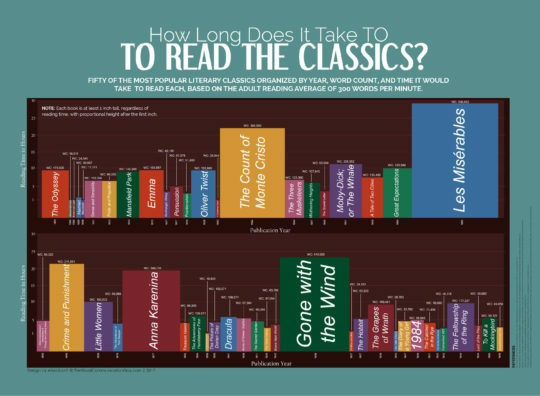 It collects data about how much time it takes to finish reading 50 of the most famous classic novels. As much as 44 titles can be read until 10 hours each. The longest book on the bookshelf is Les Misérables by Victor Hugo. It has over 530 thousand words, and it will take almost 30 hours to finish it. The second-longest novel is Gone with the Wind by Margaret Mitchell, followed by Alexandre Dumas’ The Count of Monte Cristo. 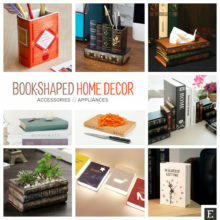 The book is the best-known way to travel to exciting places without leaving home. This literary infographic – or rather a map – lists the most iconic book set in almost every country in the world. In total, over 150 books are listed, from international bestsellers like The Three Musketeers (France), to the epic poem by Adam Mickiewicz, Pan Tadeusz (Poland), to Fuad al-Takarli’s classic The Long Way Back (Iraq). So, you won’t be able to read a book today? Too much work? Too tired to be able to focus? The evening booked for favorite TV shows (and you are not willing to deal with anything more complicated)? Why not trying to replace excuses for not reading books with tips to get more reading in your life? Take a look at the simple infographic created by Peabody Institute Library. It lists six tips to incorporate reading books into your daily routine. The infographic, designed together with Grammarly, shows the fun of selecting new words. Books are a blessing for the brain and body. Powerful mind, a better understanding of the world and other people, reduced stress, increased creativity – all that you can achieve by picking up a book and reading it. 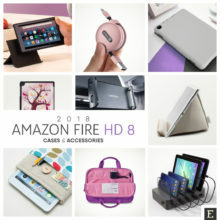 To celebrate the 10th anniversary of the Kindle, we created an infographic that presents most significant events since the introduction of the Kindle Store, to the launch of Kindle Oasis 2.